2 beds • 2 baths • 1,440 sq.ft. 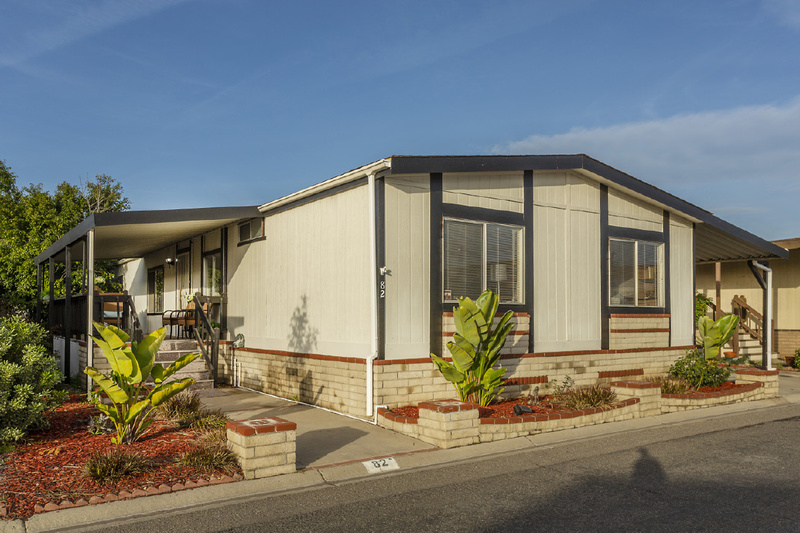 Beautiful double-wide mobile home in Santiago Creek Senior (55+) Gated Mobile Home Park! This is a spacious 2 Bedroom home that could be used as two master suites or could be converted to 3 bedrooms (mfr) because the second bedroom is huge and has a built-in wall to wall shelf as well as a large, mirrored closet. This home has dry walled finish walls, newer carpet, fireplace, an open floorplan with a formal dining room and a built-in buffet cabinet. The kitchen is huge and features a breakfast counter with lots of usable counter space! The master bedroom has an en-suite bath that has a large Roman-style soaking tub and a separate walk-in shower. Separate laundry room and lots of storage throughout! Beautiful covered patio for sitting outside on our warm California days. Seller is adding a brand new roof! You will love this home, the park and the friendly neighbors! Great clubhouse with a billiards table, card tables, swimming pool, jacuzzi and a banquet room. What are you waiting for, come enjoy your retirement here!